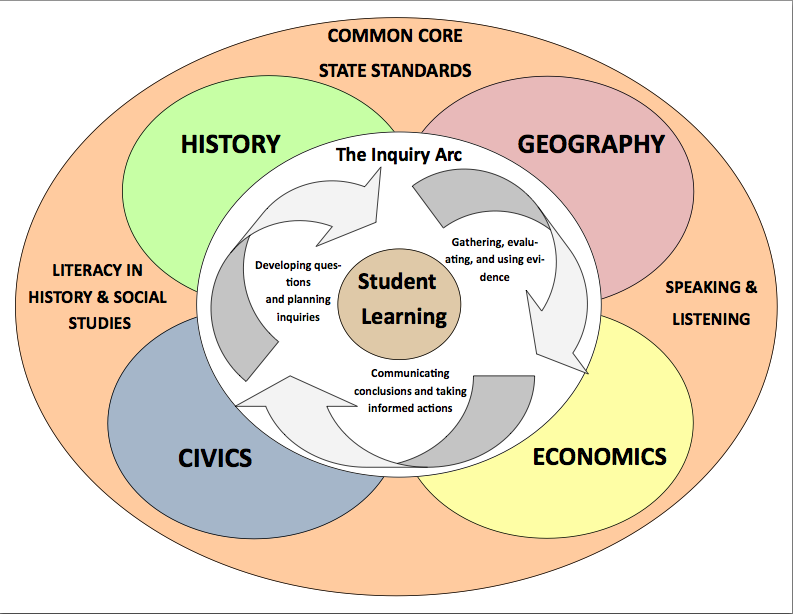 The C3 Framework is an inquiry approach to teaching studies. C3 is NOT new standards. 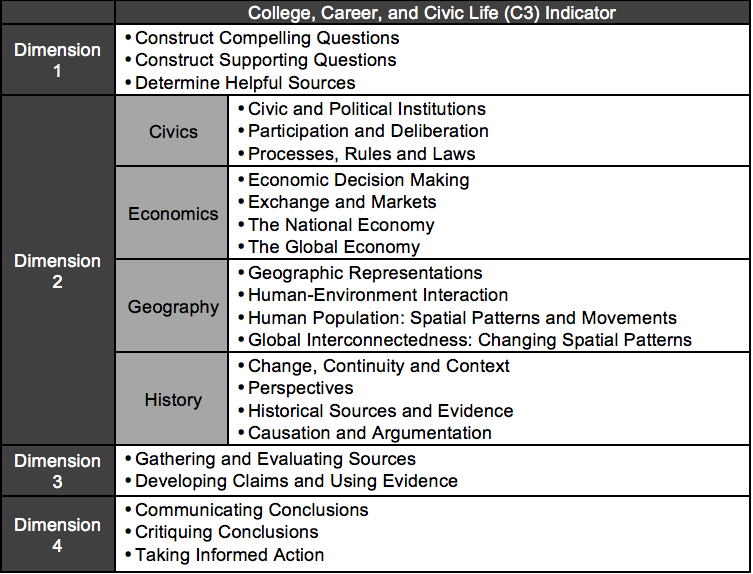 C3 IS a framework for teaching that is aligned to the Common Core State Standards and Washington State Standards. Instead of "strands", the C3 uses more robust "dimensions". These four dimensions guide students as they go through the investigative process. The C3 Framework is an instructional framework NOT a new curriculum. It enhances classroom instruction, builds on students' critical thinking skills, and aligns to the Common Core and our State standards. Did Abraham Lincoln really want to free the slaves? Did Charles Sumner deserve it? Do our parks do what they are supposed to do? Did the founders want government to work? Did the attack on Pearl Harbor unify America?